Capitol Orthodontics offers leading-edge treatment: using advanced techniques and technologies, and ensuring each patient achieves their strongest smile. Board-certified orthodontist Dr. Andrew Schwartz tailors each patient’s treatment to their unique clinical needs and personal desires. He focuses on the individual’s specific concerns and delivers the most beautiful, healthy results in an efficient, comfortable manner. Along with his skilled team, Dr. Schwartz has created an orthodontic practice that blends professionalism and personal service. We are quality-oriented, not quantity, and strictly limit the number of patients in our care at any one time. If you’re ready to transform your life by changing your smile, we’d be honored to help. Using state-of-the-art processes, Dr. Schwartz is able to gently correct malocclusions (abnormal alignments) and move teeth into proper position. Properly aligned teeth are easier to keep clean, which reduces the likelihood of future dental decay, gingivitis, and recession. Correctly positioned teeth are less prone to chipping and wear. 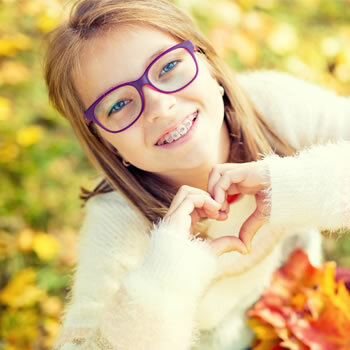 Orthodontics improves the bite, reduces strain on the jaw joints as well as facial, jaw, and neck muscles, and aids in chewing for improved nutrition and digestion. Dr. Schwartz’s goal is to have you finish treatment with optimal oral health, improved wellness, a radiant smile, and stronger self-confidence ... and for those changes to last a lifetime! The first step on the path to improved dental and overall health, as well as a more becoming smile, is an appointment with Dr. Schwartz at one of our two locations. Our Washington, DC office primarily serves adults and working professionals, and our Rockville, MD orthodontic office is more family oriented. We see patients from 9 to 5, Monday through Friday, and offer some Saturday hours, too. In addition, all patients have access to Dr. Schwartz’s personal email and cell phone in event of an orthodontic emergency outside of regular office hours. Improved health, increased self-esteem, and a beautiful smile are just a phone call away: Please contact Capitol Orthodontics today, to learn more and schedule your appointment!